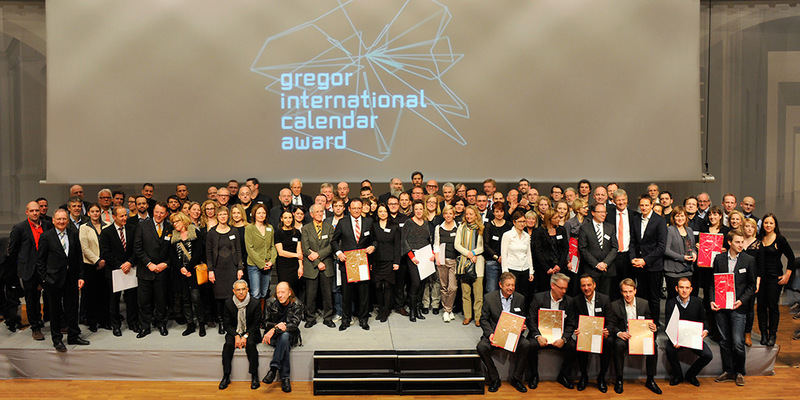 7 February 2014 – the Druckstudio Group has received two of the prestigious gregor international calendar awards. 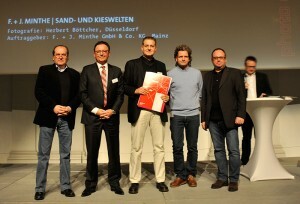 Werner Drechsler, Managing Director of the Druckstudio Group, accepted prizes for the “Delta Premiumkalendar 2014” and the “F. + J. Minthe | Sand- und Kieswelten” photo calendar at the awards ceremony in Stuttgart on 23 January 2014. The judges singled out the interplay of originality and top production quality in both calendars. A total of 47 awards were presented, including nineteen bronze, ten silver and six gold. The Druckstudio Group received the bronze gregor international calendar award for the “Delta Premiumkalendar 2014”. “The calendar was an impressive reflection of Delta’s packaging expertise,” was the judges’ verdict. The assessment criteria included the functionality, originality, concept and design of the calendar. The high production quality was also decisive. The calendar made effective use of the interplay of paper, typesetting, reproduction, printing, finishing and bookbinding. Every photo calendar is also assessed by the gregor photo calendar judges. The “F. + J. Minthe | Sand- und Kieswelten” photo calendar impressed with its combination of unique imagery, design and technical production, earning Druckstudio the distinction “Outstanding photo calendar”. “The skilful photography of the calendar highlights the particular attractions of industrial landscapes,” said the judges. 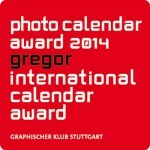 The gregor international calendar award is one of the most important competitions in the print and media industry. Around 1,000 calendars in total were entered from Germany, the rest of Europe, Japan and Israel. The competition and the world’s largest calendar exhibition are organised by the Baden-Württemberg Ministry of Finance and Economics, the Graphischer Klub Stuttgart e.V. and the Verband Druck und Medien in Baden-Württemberg. The Graphischer Klub Stuttgart first organised its renowned “Kalenderschau” in 1950. The award is named after Pope Gregor XIII, who instigated the Gregorian calendar.